Feb 1st.-11:30 pm vrt.. join the TGIF in "Shalima2" world to Celebrate the Weekend!.. at 10:30 pm vrt.. there will be a Q&A Meeting helt by chris in Shalima2 world..
Are you not yet a citizen of Activeworlds? Register Now! There is no-one registered as attending yet... except the person who registered it. 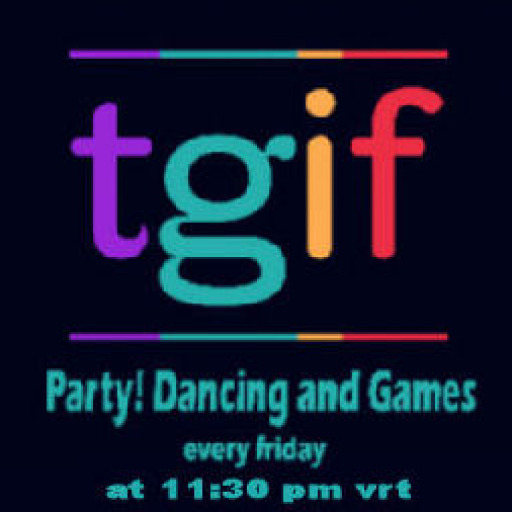 Want to help spread the word about TGIF Party?